I went to the Tent Hall in the Saltmarket I think it was,near to the Glsgow green. I was in my early teens then and attended the services with other teens.. Rab, Douglas, Jinty, were just a few.. There was Ron Chalmers who was a youth leader and I think he was also a policeman. A couple who used to be missionaries in the congo Mgt and Bill Gilvear. I wonder if anyone else remembers that church..
Dont remember that, but did go to the Band of Hope in Springburm anyone else go there??? i also went ot drumchapel bapt as a placement from bti and we stayed there a couple or so years as member s and lived in the drum.... its a great fellowship. 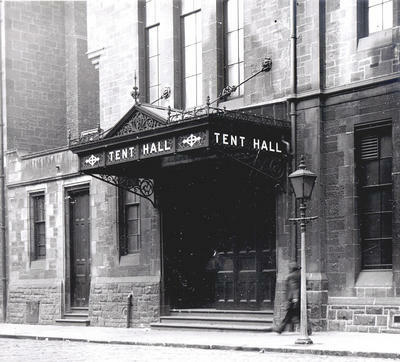 My sister who now lives in Torquay, Australia was a regular attender at the Tent Hall in Glasgow. The Superintendent at that time was John Moore who wrote many gospel songs. The Tent Hall was part of the GUEA along with the Bethany Hall and the Bible Training Institute(BTI). I think, but I'm not sure, that The Seamen's Bethel was also part of the same organisation. I'm trying to think what it was called. a "Revalist Meeting" or a "Redemptionist Meeting"
But my older brother and his mate went to the "Tent Hall" to hear Dr. Billy Graham hold his famous sermon there. Must have been late 50s early 60s. We lay in bed that night while my brother related the sermon almost verbatim to me. My father attended the tent all all his life and met Billy Graham after WW2. I thought he had gone to London to hear him speak but it may very well have been at the tent hall. In any event, he went on to attend Bible college in the States (NorthWestern College where Billy was the President) and stayed after meeting my mother. He played the Piano for years at the Tent Hall and would bring us there when we would visit as children. Some one stated they knew a Ron Chalmer's who was also a friend of our families but we have lost touch with them. Last I heard from them was in 1980. We went to visit them in their home in Glasgow after our father had died in 1979 from heart failure. My father played piano at the Tent Hall for years. He came from a large family (Harrison) in Glasgow. Mr. Chalmer's was a police man. His eldest son (also Ronald) went on to attend Whitney College of the Bible in N. Ireland under the direction of Ian Paisley. I lost contact with that family after that point. There was also a man named Jock Troupe (spelling?) who was a close friend of our family as well I believe he had a big impact on the Tent Hall as well. I remember the Tent Hall so well-I was married there in 1962. Rev Peter Donald conducted the service-he was minister of Harper Memorial Baptist Church at the time and the current superintendent was on holiday (John M Moore). I saw him (Peter Donald) recently being interviewed on Phil Cunninghams "Scotlands Music" Series on BBC TV. The pianists during my years there were Mary Peters (nee Murdoch)-she was married to Stanley Peters who was choir master of the "Junior" Chior and then the "Senior" Choir. Pearl Pattison played the piano for a number of years as did Tom Gray and of course Bob Christie who played the Hammond organ with great aplomb and skill. During the 70's Andy Carter,(Does anyone know where he is? ), the late Bob McFaulds and I produced a slide presentation called "The Tent Hall Story" which was a 70 minute piece telling the story of the old place. We even managed to get a recording of the late Jock Troup preaching!. It was a well presented piece of history with music and narration. Unfortunately I have lost touch with Andy (last heard of in Newton Mearns around 1980) but remembering what he was like I am quite sure he still has the original presentation which I would love to see again. We also produced a radio programme called "Tent Hall Time" which was heard weekly on "Manx Radio" for a considerable time. I recall David McNee ( To become Chief Constable of Strathclyde Police and Commisioner of the Metropolitan Police) being our guest on a couple of occasions and I recall a young lady with a beutiful soprano voice called Jeanette Galloway. I think Jimmy Haxton was the superintendent at this time -I remember Pastor Bell,Jim Hogg, Stanley Collins and a young man whose name escapes me who regularly appeared with trousers in the colours of the British Flag !! He certainly brightened the place with his personality and dress sense!!! I remember Arthur Blessitt's visit and will never forgot the visit of Gladys Aylward and whose preaching will always be in my memory. She was such a small lady but what a powerful story she had to tell - and as I recall they had to find her a box to stand on so that she could be seen and heard by the congregation. I recall many of the friends there- Ron and Ruth Chalmers, Sydney and Jenny Elliot and their families and many others -too many to mention here. If anybody can give me any information about any of them I would be pleased to hear from you.. I kept in touch with Bob Christie over the years (Xmas Cards etc) but these stopped a couple of years ago. Aaaah, the old Tent Hall. I used to go there on my own when I was 16 to 18. I used to sit up on the balcony on the right side and watch all the girls sitting opposite me. I remember the big hands of William Barkley holding on to the sides of the podium as he leaned slightly forward to speak. Then there were the poor old down and out's sitting unseen below the curve of the blacony. William B. would be giving it his all and when something hit a chord with those poor folks down below, you would here them shouting in agreement, ...Haaaalleluah, Praaaaise the Lord, Aaaaamen. Good to see your photo martin_glasgow, thank you for the memory. Never plucked up the courage to speak to those wee crackers sitting opposite me. My family went to Tent Hall for many years when we were growing up. My brothers Robert and Andrew were in the Junior Choir under John clark. I remember helping at the free breakfast and the Christmas party for the poor children when I was only a teenager. The Tent Hall was great and my grandfather and aunts all sang in the Senior Choir.  My father was Jimmy Houstoun and my grandfather was Andy Aitken. I have many happy memories helping of Mr Haswell in the kitchen and spending many Saturday evenings and Sundays at Tent Hall.